“Citizens Advice today renewed its call for the government to impose financial penalties on Atos for every inaccurate work capability assessment report that they produce. The call follows National Audit Office criticism of the Department for Work and Pensions’ failure to penalise Atos – the private company with whom it has a contract to carry out ‘fitness for work’ medical assessments – for under-performance. “We wouldn’t allow a private contractor to let us down on the Olympics, we can’t allow one to let down disabled people. Mistakes by Atos have a human cost and a cost to the tax payer. Getting medical assessments right first time is absolutely essential to ensuring that seriously ill and disabled people get the support they are entitled to, and cutting the number of unnecessary appeals. 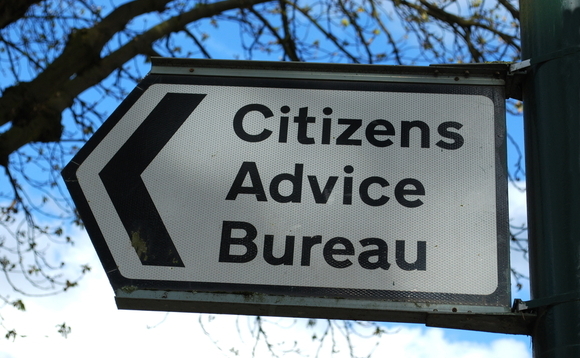 CAB advisers helped with more than 97,000 ESA problems in the three months January to March 2012 – up 71 per cent compared with the same quarter last year, making ESA the fastest growing advice issue seen in bureaux. In the same three month period, bureaux recorded an 82 per cent increase in advice about appeals against ESA decisions. Over a quarter of all advice given by bureaux about ESA concerns appeals. Latest official DWP figures say 32 per cent of appeals against an ESA decision are successful and CAB advisers estimate the success rate at appeal where someone receives specialist CAB advice and is represented is around 80 per cent”. For further reading see Right first time? An indicative study of the accuracy of work capability assessment reports which discusses research indicating that “many seriously ill and disabled people are being wrongly denied benefits because of serious inaccuracies in an unacceptably high number of medical assessment reports” used to decide who qualifies for Employment Support Allowance. Biblical Lore? Biblical Law! A Question & Answer Session With God (Currently residing in Hull). Brexit was the result of a corporate lobbying campaign which backfired. God To Pastor Jones: "Leave Me Out Of This". Health Education Housing: Isn’t It Time To Privatise Death? Is it time for a racism of the Left? Jewish Voice For Peace's Statement on Contemporary Islamophobia. Some of my best friends are racist; but even they say there is too much racism in Britain these days. Some of the cases which illustrate the truth of 'I Daniel Blake'. Unemployed? Out Of Work? Who’s To Blame? – A Question & Answer Session With Iain Duncan Smith. What Is The Sound Of A Thousand Plum Flowers? You can't say anything these days without being called a racist.